We're still taking bookings, but the second bee hotel under the car port is filling up rapidly. What a difference a couple of days of sunshine can make! 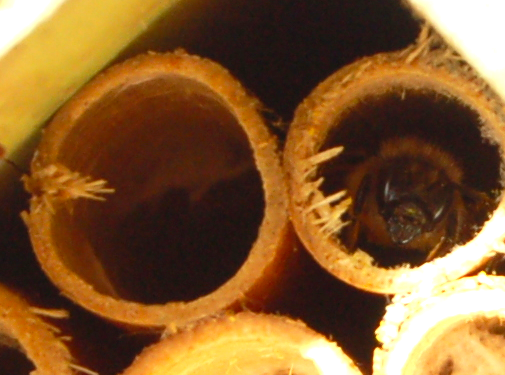 I managed to take a picture of a bee in one of the holes. It was very responsive to every move I was making with the camera and waiting for me to go away.